NEW YORK, January 30, 2014 – Today, after months of “utter” silence by government officials as well as an exhaustive review of all publicly available data, the Carey Family has concluded the shooting of Miriam Iris Carey was “NOT JUSTIFIED” and has filed a federal administrative notice of claim to sue the United States of America; the United States Secret Service – Uniform Division and United States Capitol Police. Valarie Carey, who is representing the interests of the Carey Family, filed a wrongful death claim against the two government agencies seeking $75 million dollars on behalf of The Estate of Miriam Iris Carey, Mother Idella Carey and minor child EF to compensate them for their great loss of a daughter, mother, friend and confidant. “While the United States Department of Justice continues with its criminal and civil rights investigation, the Carey Family calls for immediate identification and termination of all police officers, supervisors, managers and other related employees involved in this matter who failed to order the immediate termination of pursuing Miriam and failed to establish firearms control; thereby, collectively causing the avoidable death of Miriam,” says Eric Sanders. “Unless they are seriously considering criminal charges in Miriam’s case, quite frankly after several months, department policies relating to investigative car stops, vehicle pursuits, use of force, etc., should have been analyzed and applied to Miriam’s case for release to the public. These public disclosures are absolutely necessary because Miriam’s death unfolded right before the international community via live television,” says Sanders. “The United States Congress using its legislative powers must investigate Miriam’s death. It is in the public’s interest to ensure our government acted responsibly not only from a criminal or a civil perspective but from an internal agency perspective. It is also in the public’s interest avoid a similar tragedy in the future,” says Valarie. “The framers of the United States Constitution through the Bill of Rights ensured that our basic natural rights, codified as human rights, would forever be so important. Somehow, the Bill of Rights did not apply to Miriam. Miriam’s life did not seem to be so important. Thus far, Miriam’s death is being treated as simple ‘collateral damage’ in the government’s zeal to protect itself from ‘terrorism.’ We need to change that thought process because personal legacies are not more important than human life. The framers of the United States Constitution fought for, died for, and demanded it. We should expect no different in today’s society either,” says Sanders. Perhaps because we planned to discuss the Miriam Carey execution, we experienced technical difficulties with our February 10 broadcast. The host, Mary Neal, was not allowed to dial the Blogtalkradio channel from her phone but was able to ascertain help getting on air by Rev. Floyd Harris. Christopher Bonds' Internet and phone service were disrupted several hours before the broadcast and remained unavailable until 30 minutes after the broadcast. Eric Sanders, attorney for the Carey family, was arrested on another matter by U.S. Marshals immediately after contracting to represent Carey's survivors against the United States in this wrongful death matter. "Why did Capitol cops cut down 'innocent' woman?" Please refrain from describing Miriam as 'emotionally distributed.' There is no evidence to support that assertion. Nor is there any evidence to assert Miriam 'rammed' any gates. 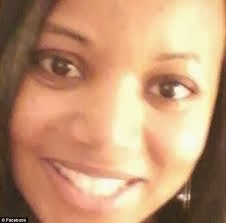 "Miriam Carey had been having delusions, believing that President Obama was stalking her. She then crashed into the gate at the White House and was shot and killed by police. Carey’s sisters say that the 34-year old dental hygienist has been suffering from postpartum depression and psychosis." This is the story that was carried forward to the entire world by mainstream news as well as other sources. Many news articles about Miriam Carey and her death have been scrubbed from the Internet, but the Techyville article remains. I agree that her vehicle (in the videos) does not look like it had crashed any gate. We only have her family's and former employer's word (as relayed by media, which could be false) that she had health concerns. I assure you that many people hope the Carey family is successful in proving this was a wrongful shooting, especially people like myself who have had relatives killed by police actions.